Optical Axis Height is 1.574"
Give your scope a proper support with the Vortex Precision Extended Cantilever Mount. 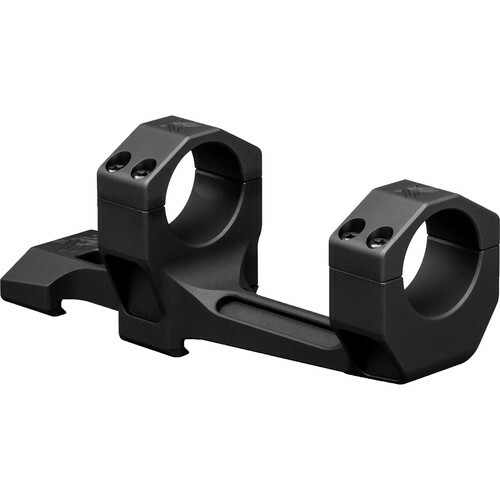 Designed for mounting scopes with a forward pitch, the mount will fit 30mm maintubes, offer a correct eye relief and head placement, and provide a built-in 20 MOA cant. This Picatinny mount is made from durable and lightweight aluminum and places an axis at 1.574" above the base. Box Dimensions (LxWxH) 7.8 x 3.3 x 3.3"
Precision Extended Cantilever Mount (30mm, Matte Black) is rated 5.0 out of 5 by 4.